Title tags are webpage labels that live in the "head" section of an html document. They are, arguably, the most important part of a document for SEO—as far as writing goes. It's important that you not screw up a title tag. Once the search engine indexes what you wrote it's like that for a while. "Because a title tag the keyword optimized label for any one given webpage page, it tells the search engines what the page is about." Anyway, this content was in the Google index for only a few days. Once I caught it and corrected it, it took a few weeks for Google to index to the correct version. So, learn from my mistake. If you push copy to production, make sure it's right. Does a Title Tag Usually Include the Brand Name? The reason has to do with branding and branded search. If you've got a big company or product on your hands, then that very product name is a search term unto itself. When a user types "Amazon" into a search engine, the probability that they're looking for the website as opposed to information about the river in Brazil is high. The clicks on that search term tell the same story. 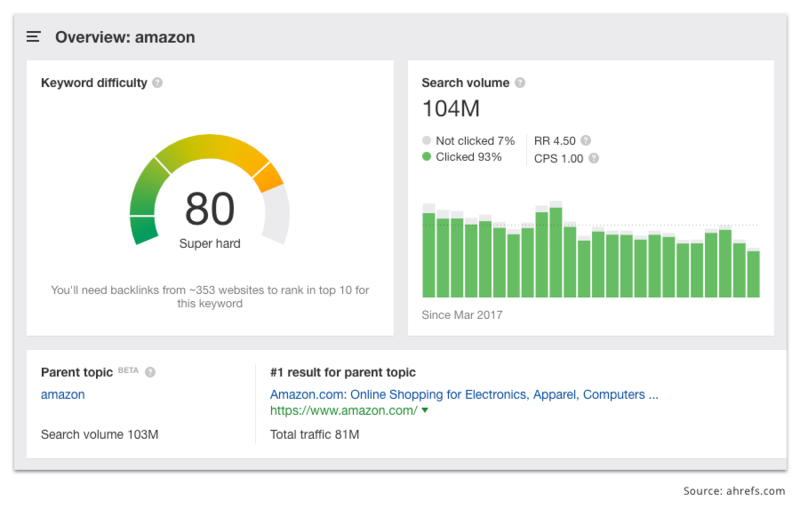 Amazon sticks its brand name at the end of every title tag because they're well aware of the power of this "branded search" user behavior. So, whether your organization is big or small, take advantage of the brand in your title tag. As far as the positioning of your brand name, that's a personal preference thing. Do whatever you think most accurately reflects your brand. Test it on some users if you are unsure. Note: Google will display it however they see fit, so don't get too hung up on the order. No biggie. I'm not losing out, but I would if I had not included the branded "name" in there. Does a title tag have to be different than a headline? Just make sure you put your keywords in there so you'll be visible if anyone searches for you. The search engines will usually only show the first 60 or so characters of any given title. So while a title tag could be longer than 60 characters, anything over 60 won't show up in the search engine results page. If your title goes over the search engine's character limit, it will get cut off by ellipses, and nobody will ever know what you were trying to say. So keep it short, you've got precious real estate to work with. The ampersand is your friend here. Also, don't feel the need to add unnecessary adjectives or adverbs.